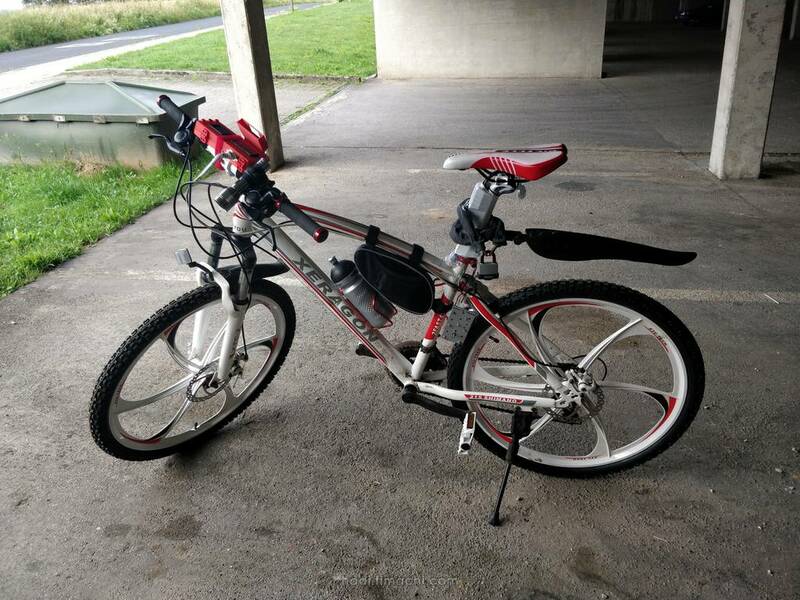 I wanted a nice looking electric mountain bike not just a random ugly bike. 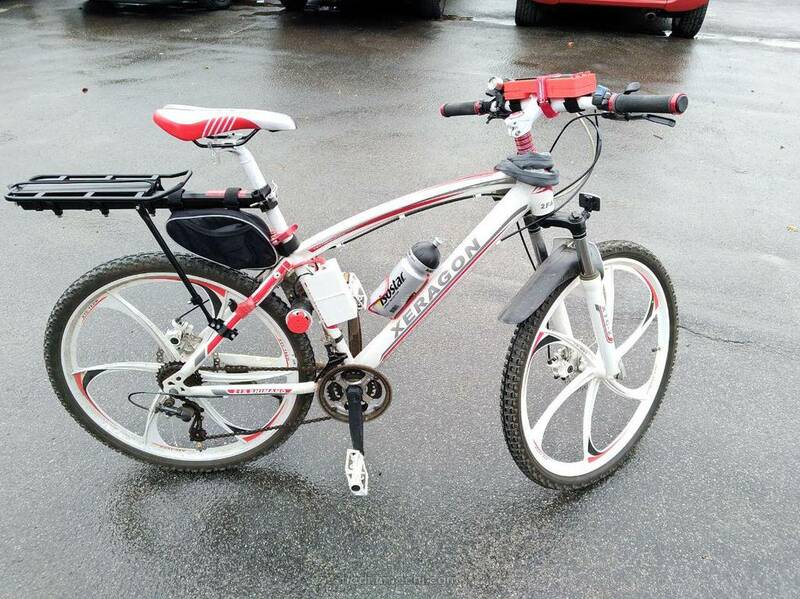 Also front suspension and capabilities of a mountain bike, including nicer brakes etc. was the reason for this selection. I wanted the bicycle to weigh not more than 15 kg to be easy to carry. Most of electric bikes use pedal assisted mechanism but I wanted to have the power whenever I want it no matter if I'm pedaling or not. 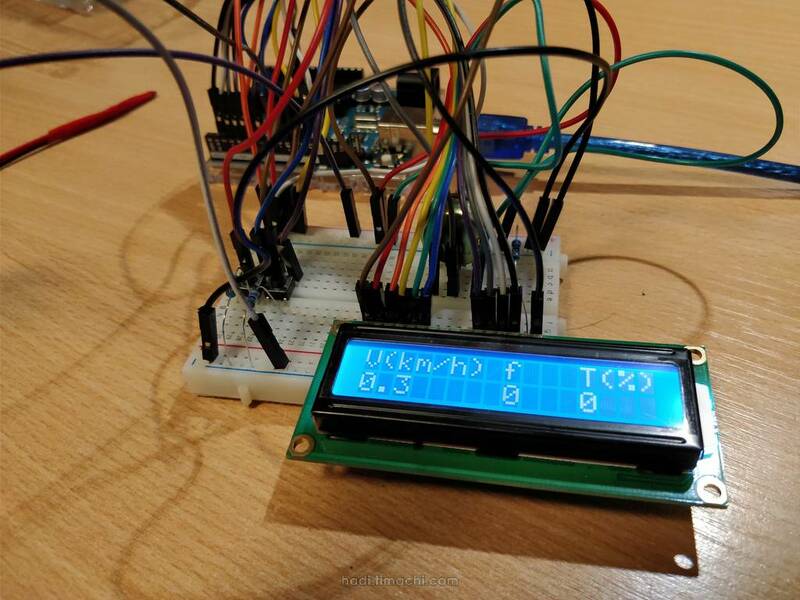 This was my first Arduino project from which I learned a lot and that's priceless. Most of e-bikes cost a bunch and since there is always a chance for the bicycle to be stolen, I wanted to limit the amount of money I put on this and the potential to lose it. As you will see in section Bill of materials and final cost, this ended up with a fraction of money of a commercial e-bike. 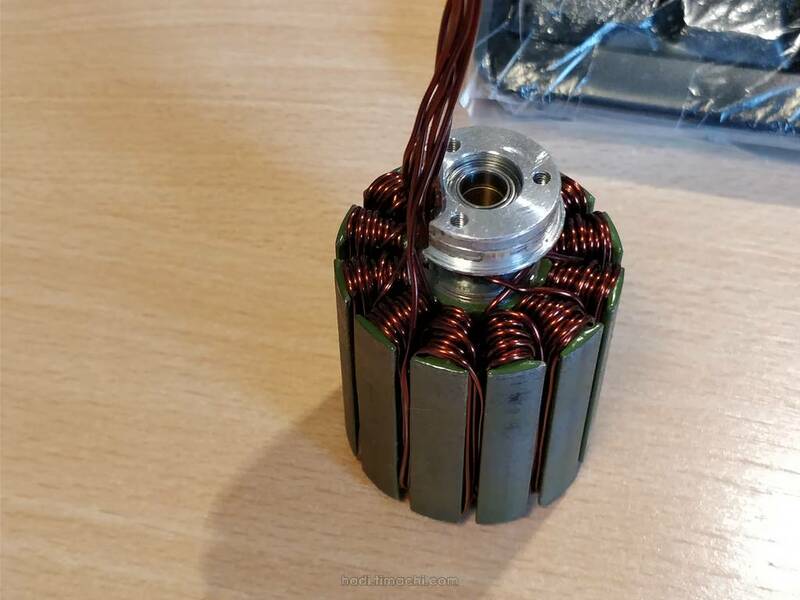 However, in the first try, not considering maximum current that the motor can put up with, I got a short-circuit in the motor due to over-heating which killed my motor controller and one cell in the battery. 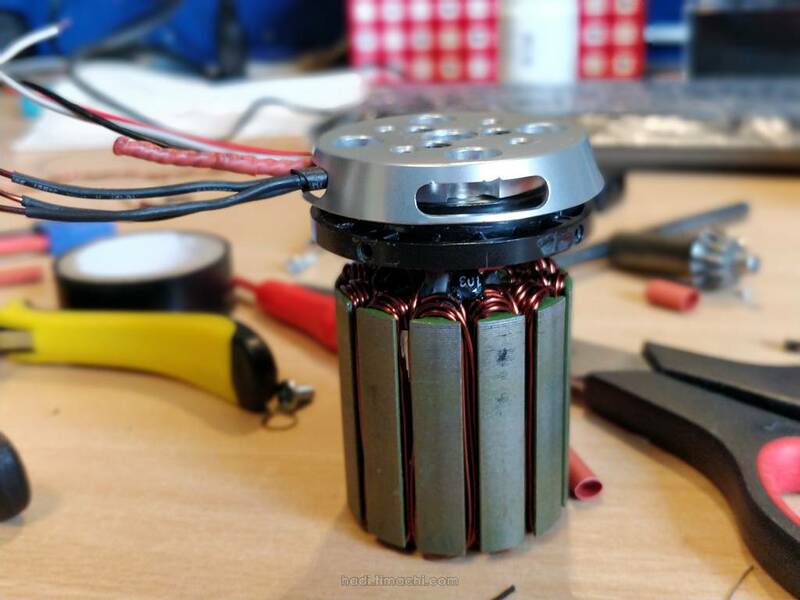 I also 3D printed a fan (originally designed by Tom Stanton) for the motor to keep it cool (this motor is actually not designed for e-bikes and does not have enough cooling power by itself and relies on external cooling from quad's propeller). 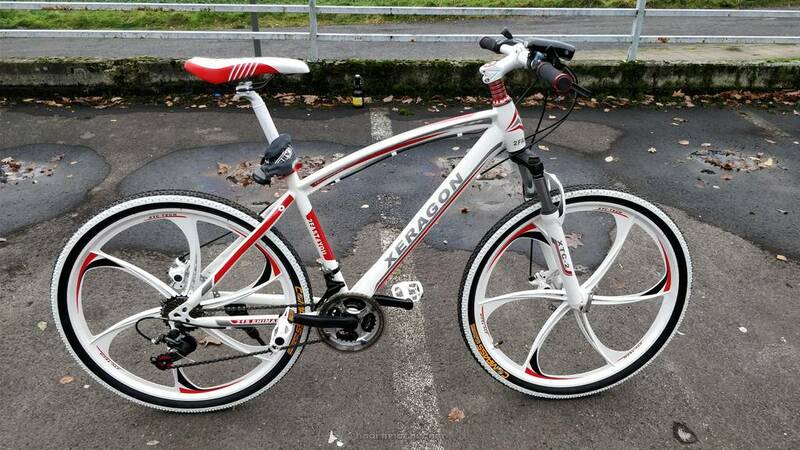 The bicycle itself was in the order of 200 EUR. 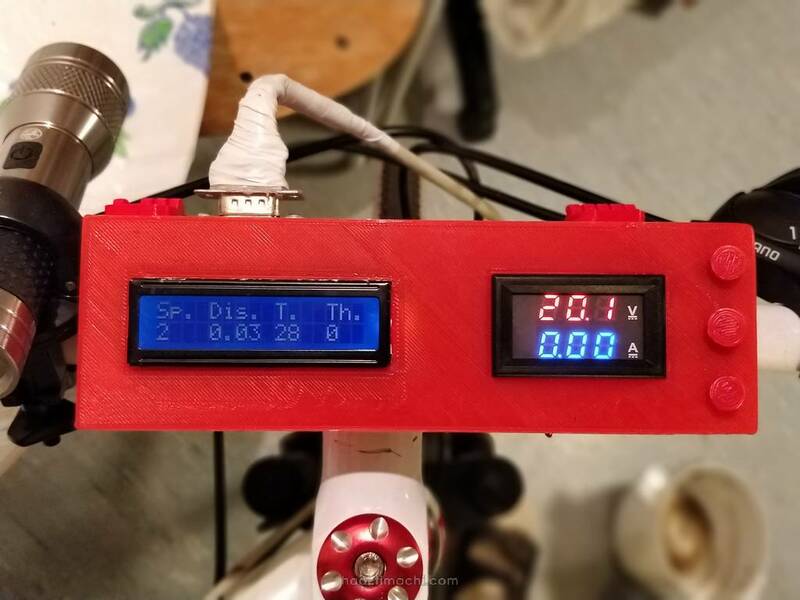 The maximum speed on a flat surface is ~1km/h/V, meaning that with a 6S LiPo battery (~24V), I get a maximum speed in the order of 25km/h. I was impressed by the amount of torque the system provides when going uphill. In most of the cases, I can rely only on the electric part without having to pedal. The only bottleneck is the discharge current of the battery. 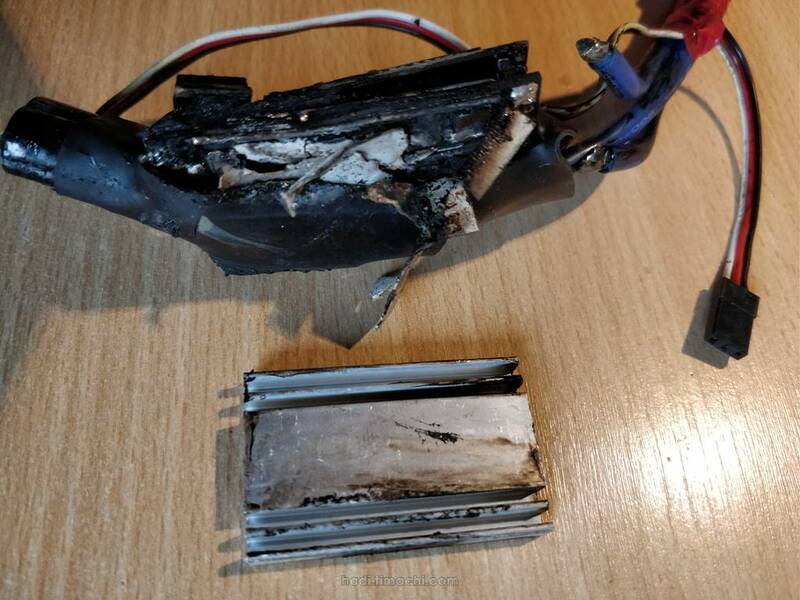 My current battery has 8Ah capacity with 10C discharge current which means the maximum constant current for long time is not recommended to exceed 8A. However, for quick boosts, one can ignore this. The place I live and use the e-bike around is not flat and therefore not perfect to get range records. Nevertheless, the range is almost 2km/V which means for an allowed charge state of my 6 cell (6S) battery (6x3 = 18V to 6x4.2 = 25.2V, difference = 7.2), I get almost 15km of range per charge which is not bad at all given the size and the weight of the battery. 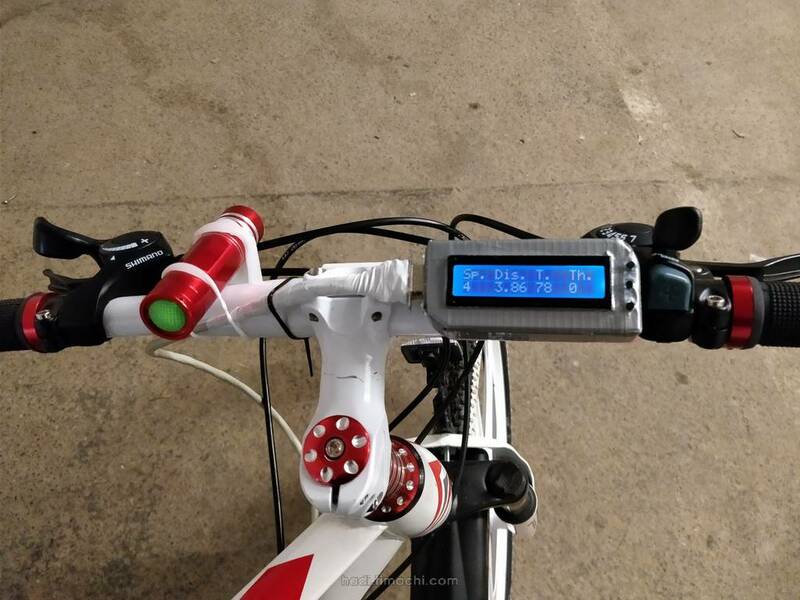 This e-bike is aimed to provide more torque than speed, but the winding type and configuration can be adjusted to change this. The bike does not provide more than 250W at its peak which is below the legal threshold in most countries. This project was a great pleasure to do. I learned a lot about micro-controllers and improved my electronics. I constantly improve the design whenever I find time to do so. The transmission system is the only flaw that I see in this design that ideally needs a complete redesign of the motor mount and rear wheel which I refused to step in since I am very happy with the current result and have no problem with changing the tires from time to time.